I have something super exciting to show you guys today. 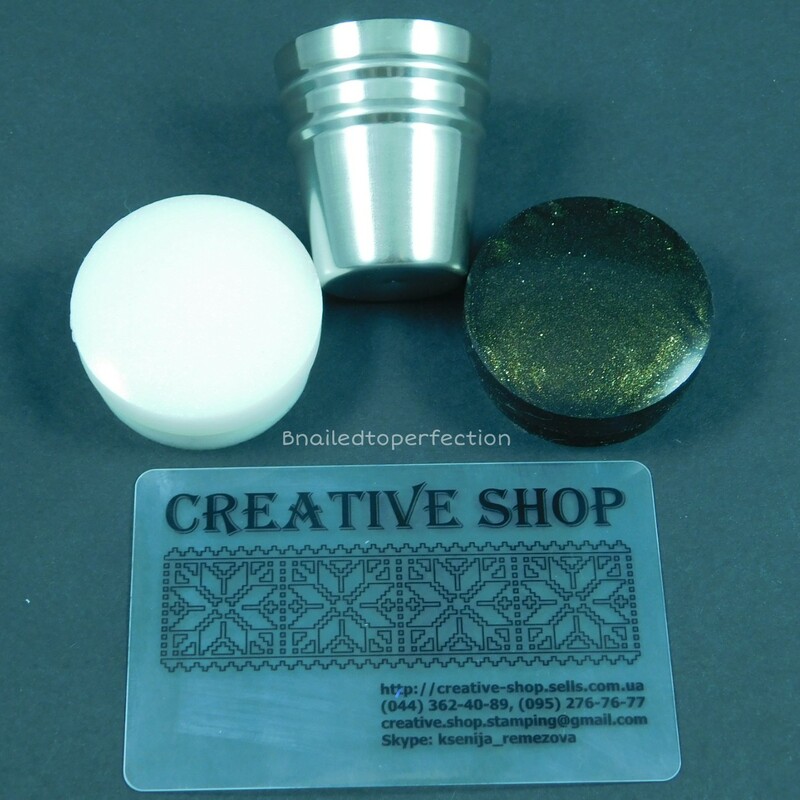 Remember when Creative Shop brought out their first stamper? I think they revolutionised stamping, or they certainly did for me. Well they've knocked it out of the ball park again with their new Space collection stamper. 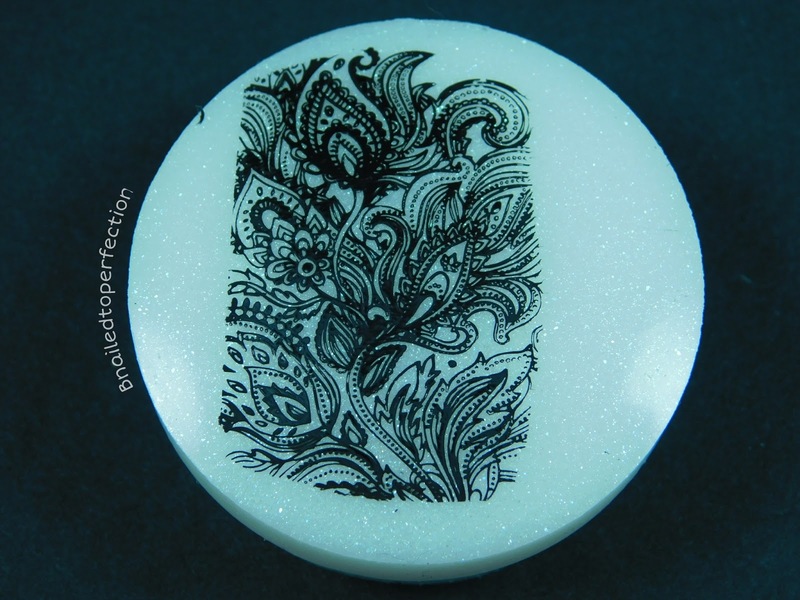 I was so honoured when Oksana asked me if I would like to review the stamper for her. I just had to jump at the chance! So the first thing about these new stampers is that they are hollow on the inside. Weird right?! 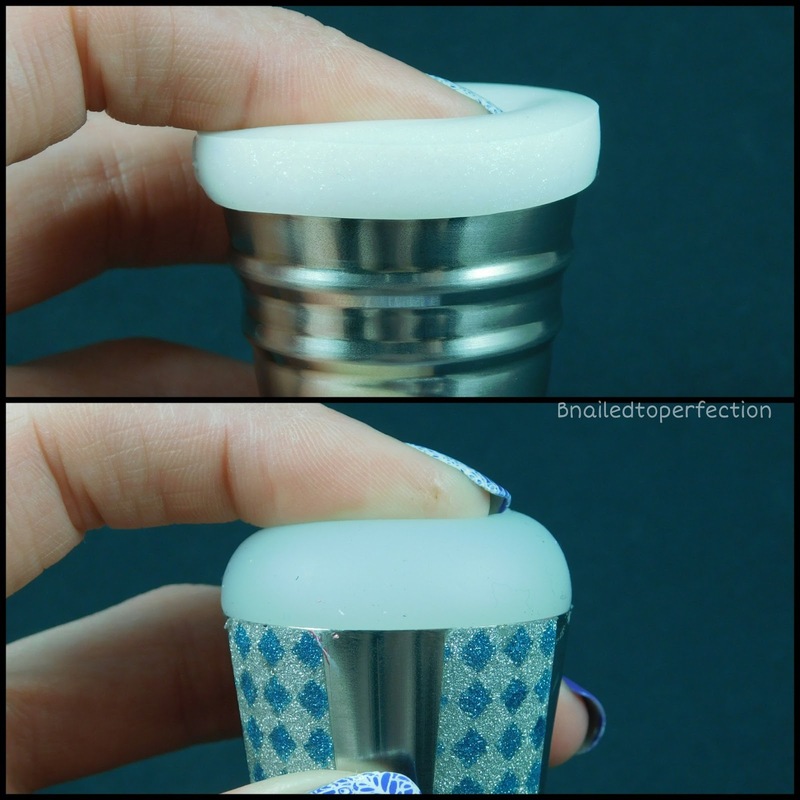 This makes it a lot easier to push your nail into the stamper head which helps you get better placement. 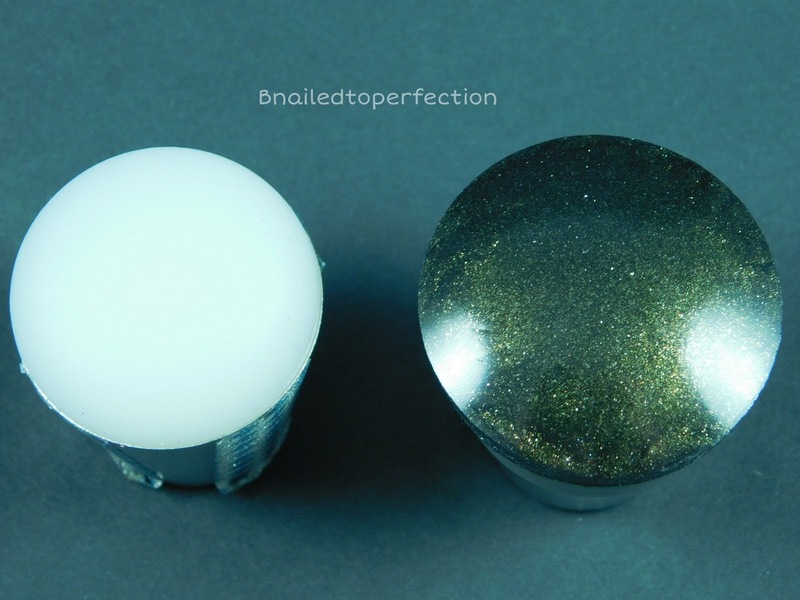 They also look very pretty too as they have a glittery finish. The black one I have has a gold sparkly finish and it also comes in green, purple and blue. Another few things that I love about this new stamper is that it has a lip on the edge so you can only fit it into the holder up to the lip. Also, the holder itself has been redesigned and is a lot easier to hold now. The white head I received has green sparkle to it. Very subtle but very pretty. This also comes in purple, blue and gold. If we compare the new Space stamper to the original stamper you can see that the Space stamper is more of a dome shape and has flat edges. The original CS stamper was 3.6 cms where as the Space stamper is a whopping 4.2 cms! It is also much more squishy and sticky than the original. Before I stamped anything, I gave the stampers a wash with washing up liquid. I swatched some images from a few different plates. Uber Chic, Messy Mansion, Born Pretty Store and MoYou London. It did pick up all the images very well but it was a bit temperamental when stamping onto the card. That was due to the card though I think. It would have been better with white paper but I couldn't find any in my house! 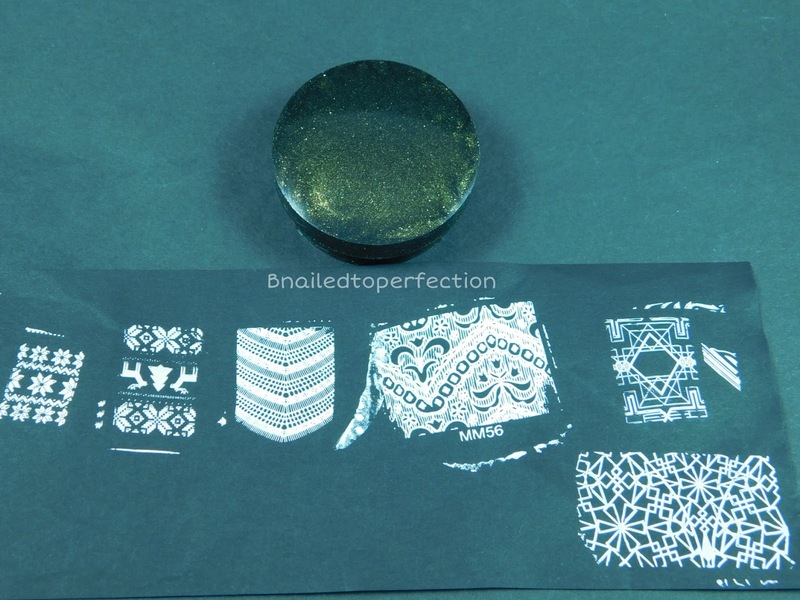 I used the same test on the black stamper and this performed just as well. They both picked up the lace images beautifully. 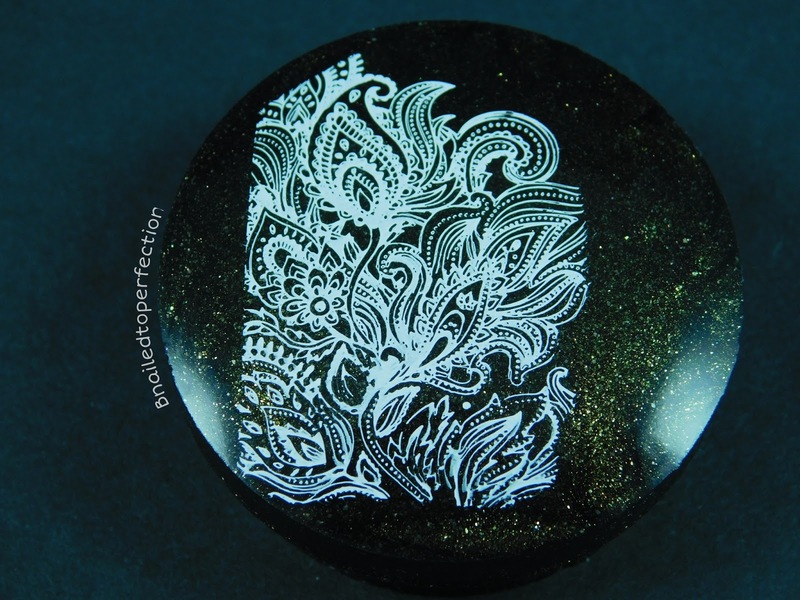 When I first saw that the stampers had a glittery finish I thought it would affect how the stamped image looked but it doesn't at all. This was the mani I created with the Space stamper. I used two coats of Pukka Purple from Model's Own and Uber Chic Plate 6-02. 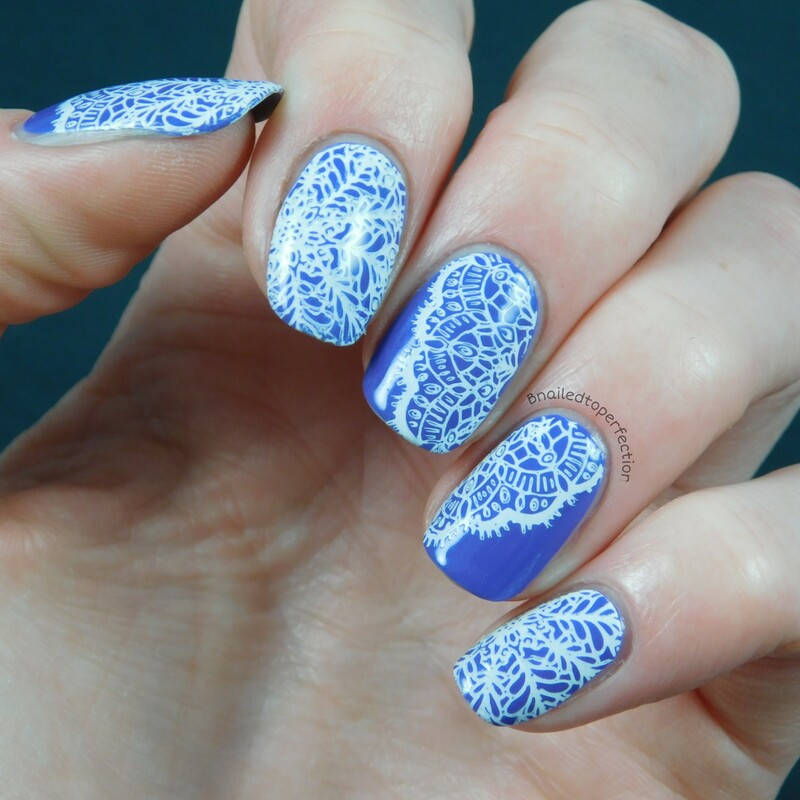 I felt I was able to take more time to position the lace design on my middle and ring finger. 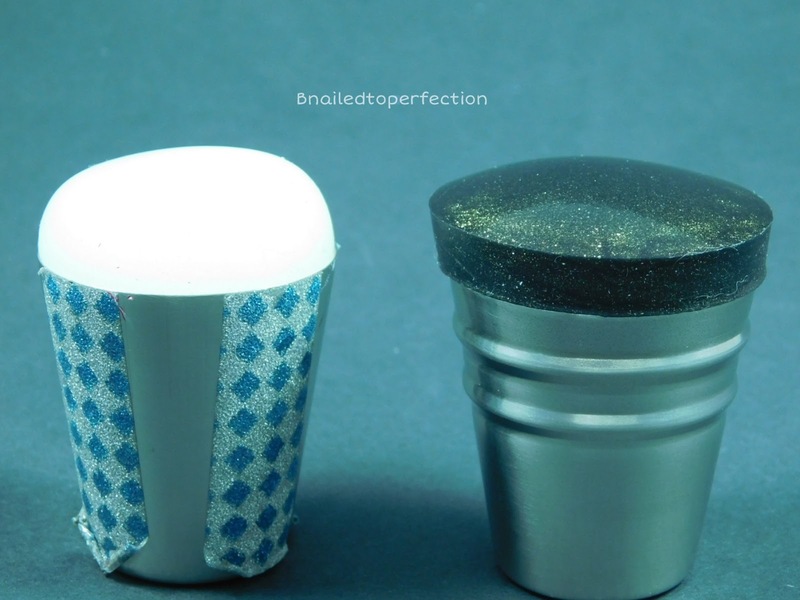 I think this is because you can really push your nail into the stamper. Here are a few tips for using, priming and looking after the Space stamper correctly. Store the black and white heads separately to avoid staining. Use the shorted side of the scraper to scrape excess polish from the plate. 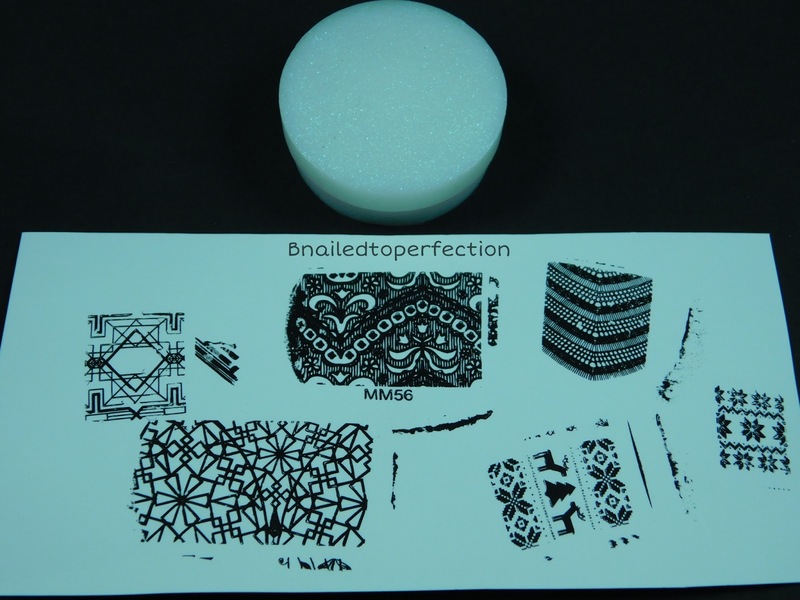 Pick up the image by gently rolling the stamper over the plate. 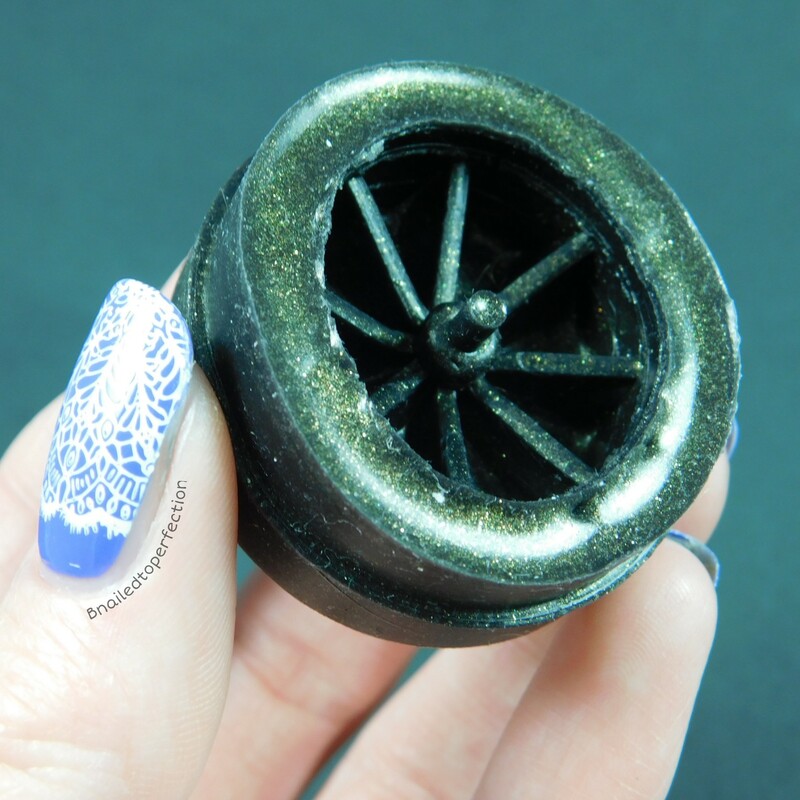 Clean the stamper head with tape or lint roller only! Don't use 100% acetone to clean the scraper. If the stamper doesn't pick up, firstly prime it by washing it in washing up liquid. If this does not work you can also put it in a plastic bag for a day which should help. As a last resort you could prime it with a Magic Eraser. DO NOT prime it by using a nail file or nail buffer. So my overall impression of this stamper is great. I love that it's bigger, more squishy and who can resist the pretty glittery finish?! Not me!